.The EL-GFX-1 standalone USB data logger measures and stores up to 251,928 temperature readings over a -30 to +80ºC (22 to +176ºF) range and at a resolution of 0.1ºC. 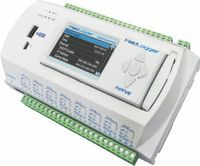 The data logger features a high-contrast graphic LCD and three-input buttons. FieldLogger is a versatile, powerful and yet cost effective data logger handling analog, digital and other types of variables with high resolution and speed. 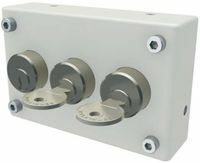 These Interlock Systems can be used to determine sequences of operations and to avoid failures in machinery and to protect the safety of perssonel. ADDA B.C.D. 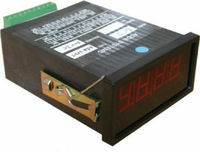 INDICATORS are available in DIN panel mount (24x48 & 48x96), and also in large digit (100mm) wall mount. This company supplies Products & Services in the Agricultural, Architectural, Associations, Institutes & Councils, Automotive, Building & Civil, Chemical, Communications, Electrical, Electronic, Environmental, Food & Beverage, General, Industrial Automation and Control, Instrumentation & Control, Manufacturing, Marine, Materials Handling, Mechanical, Metallurgy and Materials, Metals, Steel & Metalworking, Mining, Paper & Wood, Petrochemical, Oil & Gas, Pharmaceutical, Power Transmission, Rubber, Plastics & Composites, Transportation, Warehousing & Storage, Water & Wastewater Treatment industries.